Every family is different, but most would agree that there are a few key features that make a perfect family vehicle. These include plenty of space for passengers and cargo, features to make the day-to-day routine easier, entertainment options to make “Are we there yet?” a thing of the past, and top of the line safety systems. 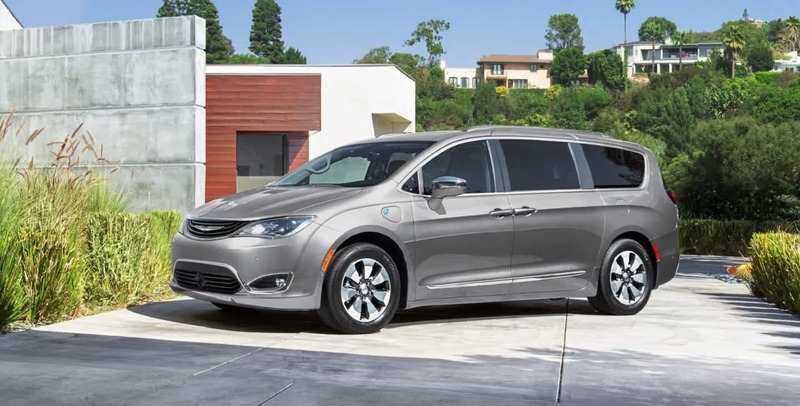 The Chrysler Pacifica Hybrid hits every point on this list while saving energy in the process, making it the perfect vehicle for modern families. 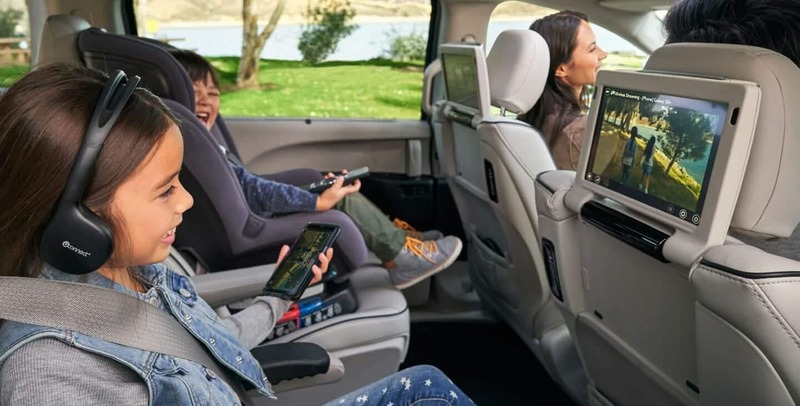 The Pacifica Hybrid has seating for up to seven passengers and second-and-third-row seats that fold down, providing you with tons of space flexibility. Fold down all the seats and open up 140.5 cubic feet of cargo space to fit all the parts and tools for your latest DIY home improvement project. 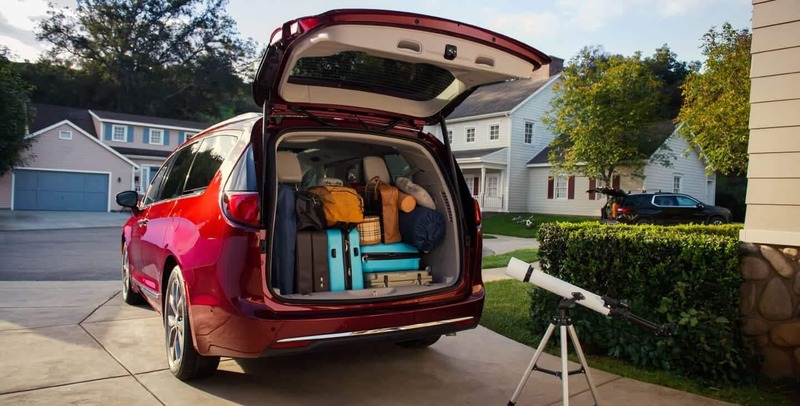 Or fill up all three rows with the whole family for a road trip and still have 32.3 cubic feet of cargo space to fit everyone’s luggage. The Stow ‘n Vac on-board vacuum cleaner makes tidying up on-the-go a breeze. The vacuum hose reaches throughout the entire cabin, sucking up spilled fish crackers and dirt from sneakers effortlessly. Additionally, the Pacifica Hybrid features automatic sliding side doors and second-row seats that tilt forward so no one has to hurtle over into the back seats. The available UConnect Theater entertainment system option comes with two 10-inch touch screens mounted to the back of the front seats. Combined with a Blu-ray player, wireless headphones, dual HDMI inputs, and wireless streaming, your rear cabin transforms in to a mobile theater. Kids can enjoy their favorite movies, TV shows, and even video games, making the time pass to your destination in the blink of an eye. The Pacifica Hybrid saves your gas and energy on the road, which mean less money at the pump and fewer pauses during your day. With a hybrid V-6 engine equipped, you get 82 mpg combined and a 17-gallon fuel tank. The Chrysler Pacifica Hybrid is loaded with active safety systems that work to keep you and the whole family safe. A rear cross-traffic alert system keeps an eye on the rear of the car while backing out of busy driveways and parking spots. If another vehicle or a person gets in the way, the driver is alerted and the brakes may even be automatically applied. An intelligent cruise control system helps drivers maintain a safe following distance between your Pacifica and the vehicle in front of you. Equipped with start and stop capability, this system can speed up and slow down the vehicle when necessary to maintain that distance or even come to a complete stop. To learn more about the Chrysler Pacifica Hybrid and other vehicles, see our Inventory.